If you have noticed a leak appear after it rains, this could be due to a variety of problems, ranging from the age of the roof, to an unfinished roof repair, to a badly-fitted roof. 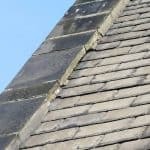 The aim of this article is to help you identify the problem and is specifically created using advice from our Pontefract roofers. 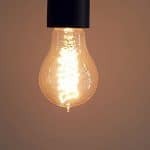 Water spots, wet insulation, cracking paint and damp-looking framework are all physical signs of water damage that strongly imply the presence of a serious leak, so it we would strongly advise calling an expert in roof repairs to fix the problem right away to avoid further damage from occurring. Wind damage is much more obvious because of the severity of its appearance. Instead going through the arduous process of finding a leak, wind damage could possibly be apparent from absence or misshaping of entire rows of shingles or slate. Unless you know how to correctly install these items, you should contact a roofer for help. Despite the fact that much of the roofing damage will be evident from the ground, it will occasionally be necessary to climb up to inspect the roof more closely. Again, if you’ve never had to deal with a problem like this before, we would recommend contacting a specialist for help. Always exercise caution when using a ladder and never try and fix the problem during wet or icy weather. This is because the ladder will be more dangerous and the roof itself will be more slippery. Keep in mind that tile roofs are the most vulnerable to damage, being susceptible to chips and breakage( especially when things like tree branches fall on top of them), as well as to hail damage. If you live in Pontefract and found any of the aforementioned damage to your roof, Pontefact Roofs are here to help, so call now on 01977 220016.